Not only is it important to know how to deal with disasters like fires, floods, natural disasters, you need to know how to deal with the aftermath. The most overlooked fact is that the best way to deal with a disaster is to be prepared beforehand, so that you know what to do afterwards. Think of it this way: you mostly likely carry certain things in your car, like a spare tire and some jumper cables. If you’re really prepared, you might have some emergency flares and first aid kits, and if you’re ready for a long haul disaster, you probably also make sure to have a blanket and some water, and maybe even food. 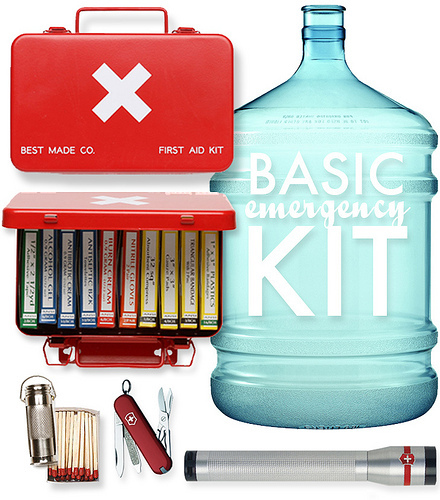 You’re prepared for an emergency to happen on the road, so why not at home? There are lots of little things you can do. Always make sure you have quick access to fire extinguishers. Have several flashlights and spare batteries. Have a well-stocked first aid kit and some emergency food and water storage, or even something like water purifying tablets if you live in an area with frequent flooding problems. Even something as simple as leaving a pair of sturdy shoes near your bed can help – after all, you don’t want to get caught in a nighttime disaster with no way to protect your sensitive feet, which could hinder your attempts to get to safety or help afterwards. Right now, you may think that having a detailed plan isn’t important. You may think you’ll have time to coordinate with other family members or think clearly if something bad happens – but it’s not something you want to bet on. The safest course of action is to already know what you’ll be doing in an emergency. Plan things such as what to do if certain exits are blocked, where you can get to higher ground, what things need to be grabbed, and what you’ll do afterwards in the event of a disaster. If you can, include things like turning off your electricity and water, especially in the case of floods (standing water can electrocute you if it comes in contact with live wires elsewhere, and your water supply can become contaminated if access is left on). Also have a list of phone numbers available, preferably laminated and with multiple copies. Include emergency numbers, the numbers of family members and friends, and the numbers of emergency professionals such as electricians, plumbers, and disaster cleanup services. Following an emergency, you’ll probably be wondering what to do. After you’ve made all the necessary calls, then taken all the necessary precautions and returned to your home, you’ll be wondering what you can do to fix everything. There are some things that you absolutely should not do. If you need to remove water from your home, don’t use a vacuum, although you can do your best to soak it up. You can remove any soot or debris that you can, but don’t peel up carpets or try to clean walls and upholstery yourself. Record as much of the damage as you can, mainly for insurance purposes, if at all possible. The most important thing is that you get your home and your family back on the road to recovery as soon as possible. Lilia has been writing on topics important to homeowners for nearly a decade now. She’s written for many companies, including http://www.firstrestorationdki.com/.